Marry Me is one of NBC’s big hits of the fall season. I just directed an episode. Here I am with star Casey Wilson. Quit staring at that dope Captain America shirt I’m rocking. I can’t believe I didn’t get pictures with the amazing Ken Marino, John Gemberling, Sarah Wright Wilson and Tymberlee Hill who are all as delightful to be with as they are talented. 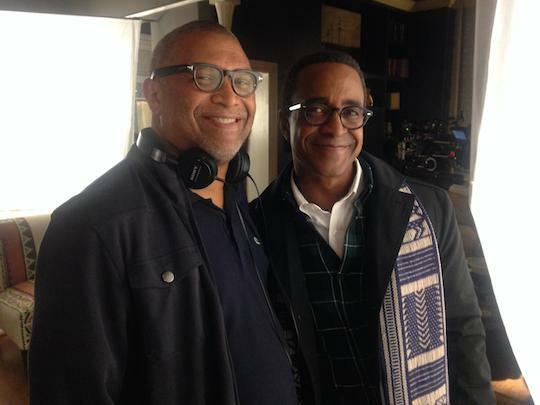 But I did get a shot with Tim Meadows. We haven’t worked together since I directed him as the star of Ladies Man. He’s a different kind of ladies man in this show, as one of Casey’s two dads. We had a great time together. He’s a massive talent. 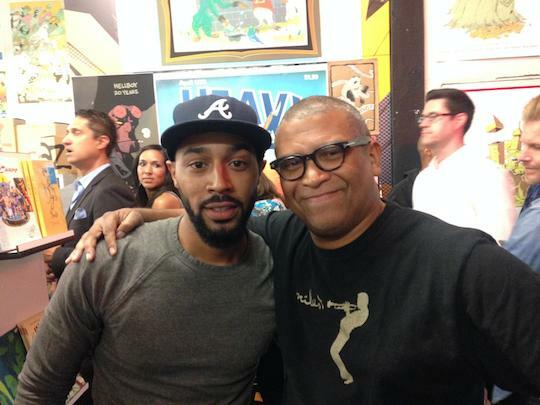 Me and the brilliant Tone Bell, one of the stars of NBC’s Bad Judge. Here’s a clip from my episode. While shooting, I told Tone about me directing Mr. Big Stuff for Heavy D and the Boyz and the posse jam Uptown’s Kicking It…both for 50k! 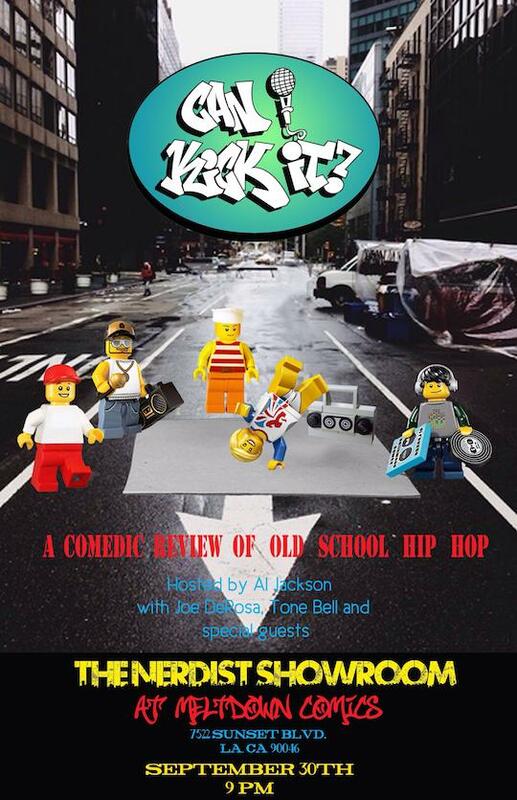 Tone invited me to his monthly comedy show, Can I Kick It, where he and his hilarious friends deconstruct old school videos and muse about their childhoods. My old videos were featured and it was funny as hell. A good time had by all. The week before my Hollywood Bowl Black Movie Soundtrack concert I shot an episode of BAD JUDGE, the new NBC series debuting this fall. 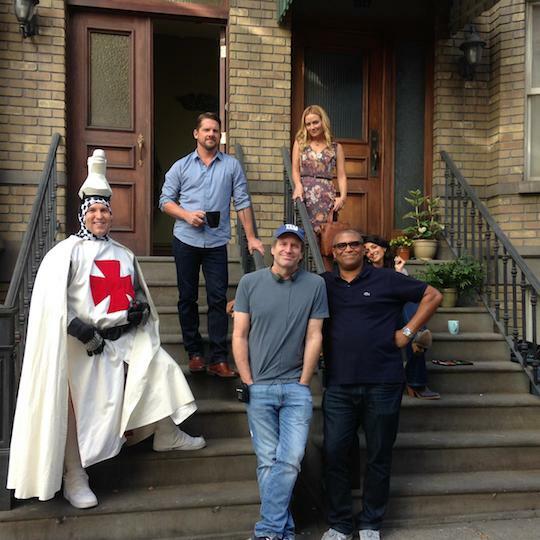 Everyone in this picture is super damn funny and great to work with. Tone Bell, John Ducey, Kate Walsh and guest star Dan Bakkedahl just cut up every day. "12 Years a Slave" wins for motion picture, while Lupita Nyong’o, Kerry Washington and "Scandal" also take home honors. 12 Years a Slave took top honors at the 45th annual NAACP Image Awards, where Kevin Hart was named entertainer of the year. Lupita Nyong’o took home the first honor of the telecast for her work in 12 Years a Slave. Steve McQueen won top directing honors and John Ridley took home writing honors for the slavery drama. Nyong’o praised Oprah Winfrey, whom she beat out for the supporting actress award, calling it "a deep, deep honor to be holding this trophy." Angela Bassett took outstanding motion picture actress for Black Nativity, and Forest Whitaker won outstanding motion picture actor for Lee Daniels’ The Butler. "I have so much admiration for the NAACP and what they’ve done, what they’ve accomplished and how they’ve changed this planet," an emotional Whitaker told The Hollywood Reporter after his win. On the television side, LL Cool J won outstanding actor in a drama series for CBS’ NCIS: Los Angeles and Kerry Washington won outstanding drama series actress for ABC’s Scandal, which also took outstanding drama series. 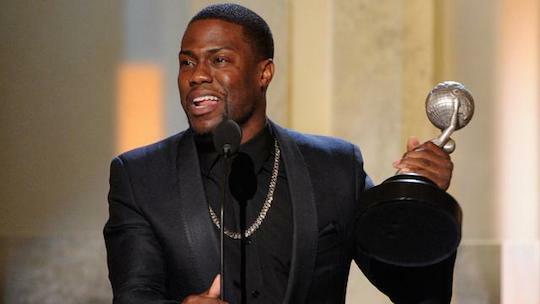 BET’s Real Husbands of Hollywood won outstanding comedy series, with the show’s Kevin Hart winning acting honors. Winfrey delivered a heartfelt tribute to late South African President Nelson Mandela midway through the ceremony. "He was everything we have all have heard and more. He was humble and he was unscathed by any kind of bitterness after all that we know he’s been through," Winfrey said. Her remarks were followed by a musical tribute by Stevie Wonder. David Oyelowo, who won a supporting actor award for The Butler, said this year’s field of African-American centered films was incredibly strong. "To have films like The Butler, 12 Years a Slave, Fruitvale Station and Mandela — all that have black protagonists with no white savior character holding their hand through the movie is a huge stride forward," he told THR. Ahead of the ceremony, Fruitvale Station took the indie film honor. Beyonce took outstanding female artist, while John Legend won outstanding male artist. Idris Elba was honored for his work in BBC America’s Luther. Anthony Anderson hosted the ceremony, which aired live on TV One. Kevin Hart was named Entertainer of the Year while “12 Years a Slave” racked up another four awards including for motion picture at the NAACP Image Awards, which were held Saturday at the Pasadena Civic Auditorium. Hart said he was a “real mama’s boy” and dedicated his prize to his mother, who recently passed away. Forest Whitaker and David Oyelowo were honored for their roles in “Lee Daniels’ The Butler” and Angela Bassett won the lead actress prize for “Black Nativity.” Whitaker was also honored with the NAACP Chairman’s Award. “I’m one of those with a funny accent and an African name,” Oyelowo referencing emcee Anthony Anderson’s earlier jokes about Brit actors with their accents and African names in his speech who cross the Pond to grab roles in Hollywood. Boone Isaacs said the Acad invited more women and minority this year than it ever has. “We still have a lot of work to do. I look forward to it,” she said to applause. Oprah Winfrey led a tribute to Nelson Mandela and Stevie Wonder performed.